As the doors close on what has been our most popular exhibition in Inverleith House it is worth reflecting on what has made The Lost Words such a phenomenal success. Jackie Morris’s captures so much life in her illustrations and Robert Macfarlane is a gifted wordsmith but it is the synergy of their combined talents that offers passion and poetry that both charms and delights a wide audience. Many have been drawn to the inspiring message that runs through the show reminding us that we are able to connect or reconnect with the plants and animals that are all around us – a message that resonates particularly with parents but is relevant to all of us. People left the exhibition and wandered back through the summery Garden more attuned and alert to the natural world about them. Robin Wall Kimmerer in her masterpiece of nature writing Braiding Sweetgrass describes the disconnect between people and wildlife when we stop thinking of plants and animals as gifts but regarded them as commodities, when our sense of being part of Nature and the rule of reciprocity is replaced by the hubris of ownership. Macfarlane and Morris go further and note that when we have even forgotten the names of the other beings that surround us we risk severing the final cord that binds us into the natural world, leaving a gaping hole in our lives that we attempt to fill with the superficial and superfluous. The remarkable hope of The Lost Words is that you can begin to reverse this process by speaking Nature-words that cry-out to be spoken aloud and allow us to reclaim the names that are part of our cultural vocabulary, connecting with a heritage that goes back beyond writing although possibly not further back than painting? Names are a starting place. What follows is recognition and interaction: opening our eyes to the commonplace and not-so-commonplace; stopping to listen to the lark above; talk to the raven; seek out the tiny moss and cobweb nest of the wren; or, leave dandelions to flower in the lawn for the bees to sup. Each experience is a gift for which we can be expected to reciprocate with a compassion towards Nature with behaviour that brings positive change. 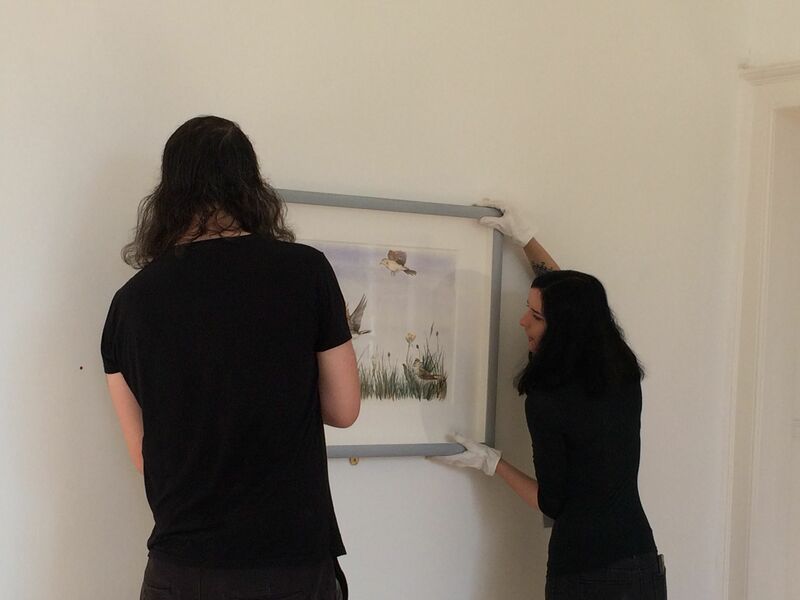 The theme of our relationship with Nature continues in the next exhibition in Inverleith House, Natural Selection by Andy and Peter Holden. Peter Holden set up the Young Ornithologists Club, the largest youth wildlife club in the world, and has been described as the man who inspired a million children. Andy Holden, his son, is an acclaimed artist who and adult has been able to reconnect with his father’s passion for birds, their nest and their eggs, through his own artistic practice. Passion can sometimes become obsession and the exhibition also explores the shady world of illegal egg collecting as well as the remarkable and varied creative skills shown by birds in building their nests. As a father of a son in his thirties who has begun sharing my passion for trees, in his adopted Canada, and as the father of an eight year who can become as engrossed in Minecraft as he can in real-life mud-and-stick landscapes, I can appreciate the competing and sometimes conflicting things that occupy young people’s minds. I can also understand the responsibility that we have to provide the opportunities that we had when free-range childhood and adolescence was the norm. I hope that fathers will visit Natural Selection with their sons (and mothers with their daughters) and talk about what issues it raises, not least how we instil a love of Nature and resilience in a generation growing up in a technological and risk adverse age. The Lost Words opens at Nymans in West Sussex 19 January to 2 June 2019. 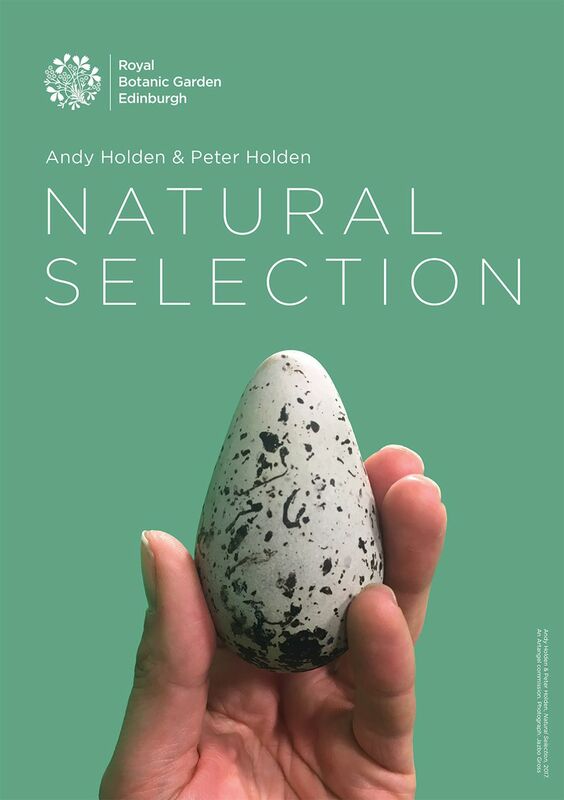 Natural Selection by Andy Holden and Peter Holden runs in Inverleith House from 28 September to 18 November 2018 (closed Mondays) admission free.